Thank you Chloe! You have a very nice name! 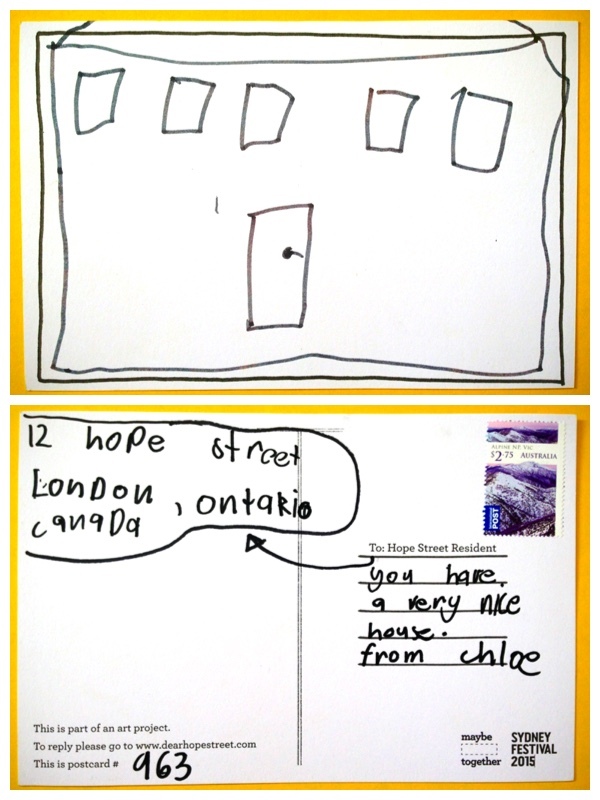 Thank you for the beautiful drawing of my house on Hope Street in Canada.